WHAT IS BIOS HOW DOES IT WORKS IN YOUR COMPUTER.? Some other functions in BIOS. Ø It checks each and every compartment of RAM to make sure that everything is working fine. Ø Once RAM and Processor are checked, it then checks all the other devices that are connected to your computer like the keyboard and mouse. Ø After this, BIOS checks for the boot options. 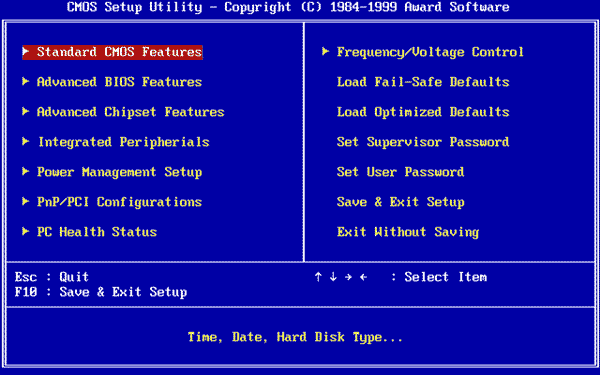 Ø Various Boot options are organized in a sequential manner in the order of their priority. You canactually have a look at this by going into the BIOS while booting. The options look like: Boot from CD-ROM, Boot from Hard Drive, etc. Ø It then checks for the bootstraps on various devices in the defined order. Ø Once all the above conditions are done, it passes the control to the operating system by loading the main parts of the OS into the part of RAM which is reserved for the OS.